THE GREAT OCEAN ROAD, AUSTRALIA. We know you’re always up for an adventure, but we also know that it’s easier to stick to what you know, going on the same hikes every weekend, up the same mountains with the same crew. It’s time to mix it up a little! 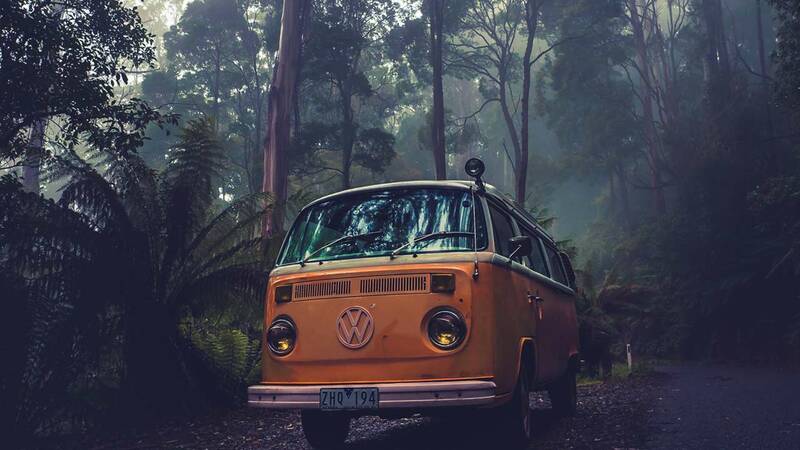 Get yourself a little yellow VW combi (It’s cheap as chips), an old-fashioned map and get going! We know where the real gems are…plus this will make for EPIC Instagram photos! We taking you on a less old-fashioned road trip along one of the most beautiful coastlines on earth! If endless beaches, mountains and waterfalls are your thing and you are a slow traveler not in a hurry…put this on your travel list and bump it to the top – This trip is made for you! As the 12 Apostles gem is no secret to the world, the crowds from sunrise to sunset will confirm this. Go and see them but if you’re in for a more intimate experience this one is for you: we’ve found a sneaky vantage point on the beach at Martyrs, go at sunset with some beers and a serving of fish and chips. Like the 12 Apostles the Martyrs are colossal limestone towers, formed over a period of 20 million years, reflect the changing colours of each golden sunset with grandeur, ensuring a memory that will never leave you. But without the 400 tourists looking over your shoulder. On a trip like this there’s often a lot to see with limited time, so why not get an early start? 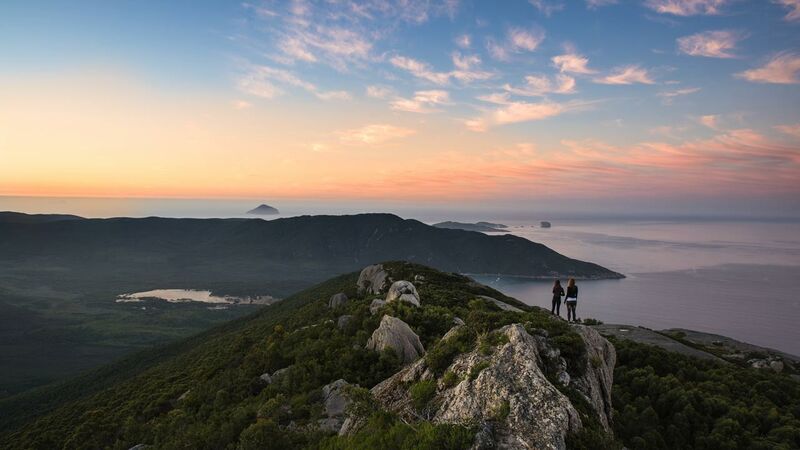 In Wilsons Promontory National Park (which isn’t officially part of The Great Ocean Road) there is one particularly special hike up Mt. Oberon. We admit that waking up before sunrise was difficult, and climbing a mountain (even though it only took 1 hour) while still half asleep, was also difficult. But watching the sky light up from the summit, with 360 degree views, made us wish we could do this every morning… and as a bonus, we still had the whole day left for activities. Pack a bag with some snacks, shoes, sunblock and a swimsuit and head down to Bells beach. Start your day off with a surf on this long stretch of golden sea sand where the perfectly crested waves are what surfers’ dreams are made of. If you’ve never touched a surfboard in your life before, that’s no excuse not to jump in the water. 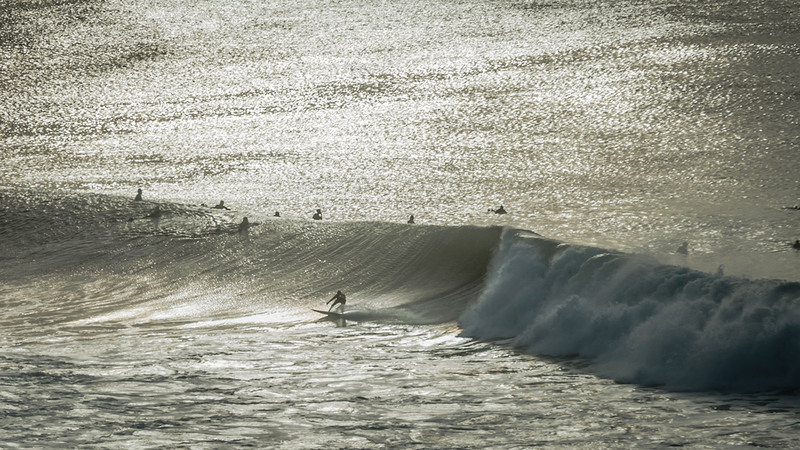 There are a few surfing schools that will get you standing up and riding your first wave in no time! Before it gets too hot, put your surfboard down and put your walking shoes on. 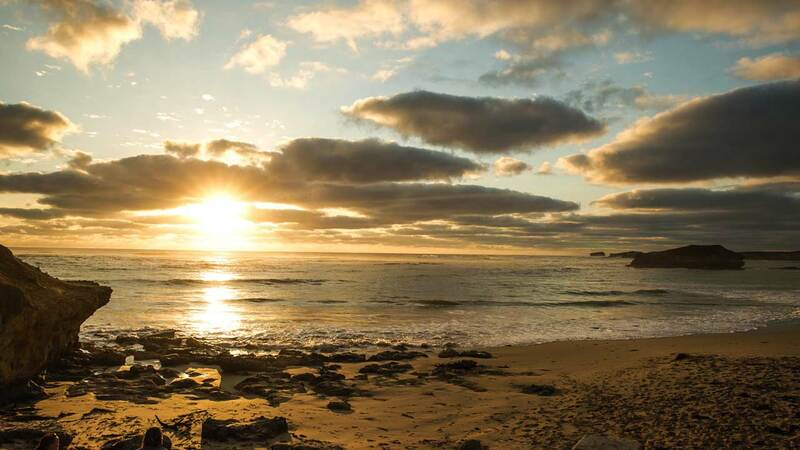 Check a map for the following: The Great Ocean Hike, A 200 km long hike along the coast. If you have time, go for it. 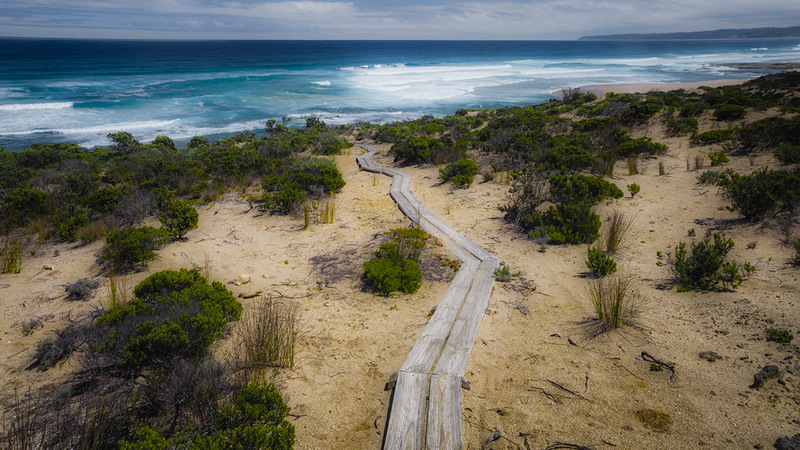 If not go for a rejuvenating hike and follow the official walk track from Bells beach to Point Addis, where you could be lucky enough to see rare orchids, echidnas and reptiles along the way. The different natural landscapes will keep you captivated and the views entice you to stop every few minutes just to take them in. Put a day aside and immerse yourself in Cape Otway and all its diversity – Go on hikes through the dense rainforests where it basically looks and feels like you’re in a scene from Jurassic Park and a dinosaur may just jump out of the trees at any moment. Pop out on some of the most pristine, untouched beaches Australia has to offer, and run under some of the scattered splashing waterfalls. 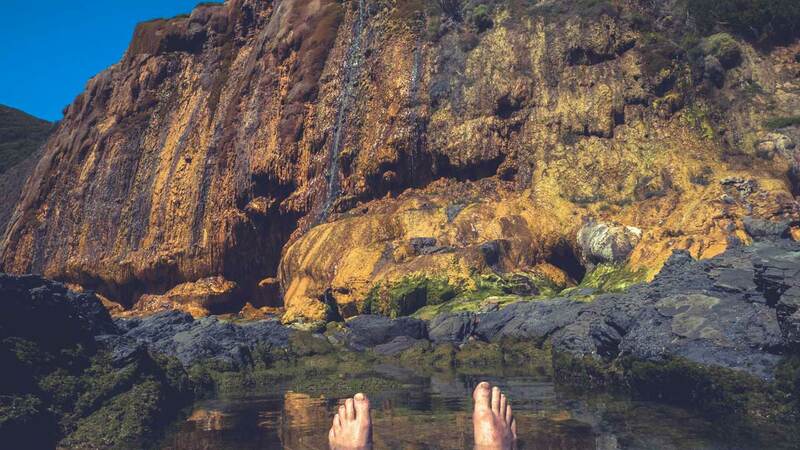 To complete our all-Australian road trip, we dipped our toes in the pools of a beatiful waterfall and let our problems and worries float downstream. The beautiful thing is that it’s at the beach and it’s completely abandoned. There’s no-one! All for yourself! The beach lies 500 metres west from the Cape Otway lighthouse, accessable via the Great Ocean Walk track. This nature-filled, inexpensive road trip was one for the books! We returned feeling relaxed, energized and excited for the next one! There was something very special about the freedom that this trip allowed with our little VW. Being able to stop whenever or wherever, gave rise to spontaneity and many new adventures. We are hooked on this way of travelling and can’t wait to do it again in the near future! 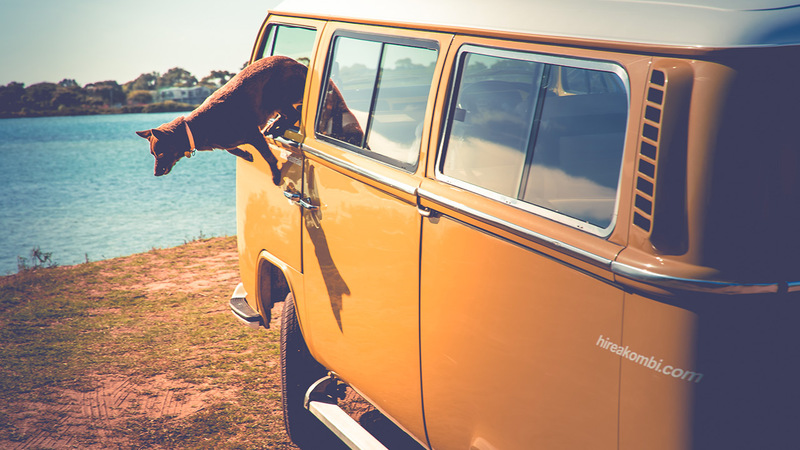 Whether you’re a young nature-lover, looking for an adventure with your friends or slightly older, looking for a relaxing and reflective getaway – pack your bag, book a kombi and just GO!